Thew New York branch of L'Atelier, based in the Four Seasons Hotel, is well worth a visit. The new head chef has introduced a number of new items to the menu and the cooking is as faultless as ever. It may not be the hippest dining destination in the city, but the food remains delicious. “Each dish is like a jewel,” the gentleman sitting next to me exclaimed, as his painstakingly plated creation was set before him. “The question is: does it taste as good as it looks?” he said, and then proceeded to ‘mmm’ and ‘aah’ quietly to himself as each subsequent plate arrived…. The London branch of L’Atelier was a frequent haunt of mine when I lived there. The food was consistently delicious and I loved the casual interactions with the staff that were encouraged via the sushi bar style layout. You could sample any wine by the glass before buying it, and had the pleasure of observing the chefs meticulously cook and plate each dish before it reached its intended destination. 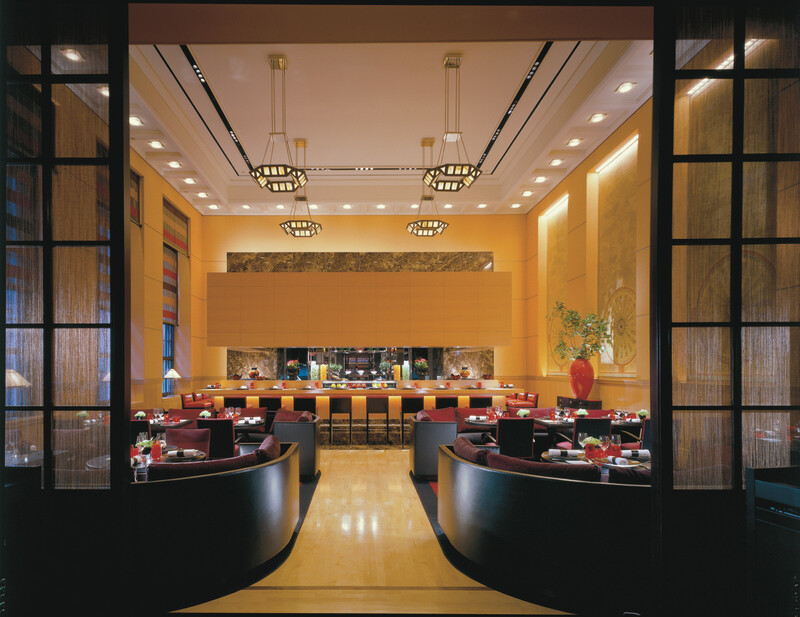 Over the years, Mr. Robuchon has brought this concept to many a metropolis across the globe. The model has been branded by some as “the McDonald’s of fine dining,” as virtually the same menu may be presented whether you happen to be dining in Taipei or Las Vegas. With so many destination restaurants now celebrating particular regional cuisines and the provenance of their ‘unique’ ingredients, some have branded Robuchon’s restaurants as increasingly irrelevant; such critics argue that this was how fine dining used to be, but not how it should be today. The New York outpost of L’Atelier has many things working against it. It is oddly housed inside the soaring ceilings of the I.M. Pei designed Four Seasons hotel, all the way in the back corner. There are both tables and bar seating, creating a somewhat discombobulated dining space. It is not sufficiently closed off from the adjoining hotel bar, and the bar music and clatter is audible as you dine. Plus, the menu can take a while to decipher, and the accompanying explanation the waiters are seemingly required to recite can leave you even more perplexed. But, as my dining companion stated, “Once the food began arriving, everything was perfect.” I concurred. In January, the restaurant welcomed a new head chef. Christophe Bellanca who previously worked at the three Michelin star Pic in Valence and has graced the prestigious New York kitchens of Le Cirque and Aureole. Christophe is only the second current head chef in the group to truly come from outside the Robuchon stable, perhaps a sign that Mr. Robuchon understands that in order to sustain his success, he must allow new ideas and creative energy to flourish within his kitchens. The New York menu, which changed markedly about a month ago, now includes around eight dishes that are all Bellanca’s own. These dishes even permeate into the tasting menu, and with them breath new life into this venerable culinary ‘workshop’. An amuse bouche consisting of three layers – foie gras cream, a port reduction, and parmesan foam – was delightful and set the theme for what was to come: each element was clearly discernible and worked together in concert to create something greater than the sum of the parts. At once rich, sweet and salty, and packed with umami, it deftly balanced the inherently strong flavors. It was also amazing that the foam smelled exactly like freshly grated Parmigiano-Reggiano. My dining partner and I opted for the tasting menu which, for $190, provides the expected quotient of luxury ingredients, and its nine courses are nearly devoid of missteps. The opening course of white asparagus gazpacho with Ossetra caviar was surprisingly refreshing, with the vegetal flavor remaining dominant amongst the briny roe, luscious cream and sweet pepper accents, all of which served to enhance the primary ingredient. The Hamachi sashimi had an ever-present complex acidity that danced confidently with the delicately minted avocado. The signature Robuchon crispy langoustine papillote was succulent and faultless, yet somehow did not live up to what came before or after it. A seared morsel of foie gras had not been properly deveined, but it was delicious when eaten together with a single kumquat (and accompanying compote), which made for an unusual yet successful pairing. The crisp mustard-seed encrusted skin of the sea bass provided a welcome kick that melded perfectly with the jalapeño and cilantro garnishes, the fish itself being both pristine and impeccably cooked. An extra course of sweetbreads was presented and, under a leaf of lettuce, lay hidden a stash of finely diced bacon which elevated the dish with a persistent note of smokiness. While the menu does not actively promote the sources of its ingredients, the waiters can tell you just about anything you want to know about where your food came from. Both the Long Island caramelized duck breast and seared Idahoan Wagyu hanger steak were evidence enough of excellent sourcing. Serving as alternative endings to the savory portion of the menu, neither meat course was boring or overly heavy, and I particularly enjoyed the fresh wasabi served with the perfectly saignant beef. Desserts included the most beautiful cheesecake I have ever seen, though its cranberry sauce was slightly too cloying. An extra dessert of the famous Robuchon Bulle de Sucre was also nearly too pretty to eat, but similarly over-celebrated the ingredient with the star billing. These minor sins were more than forgiven, however, when the final dessert of Araguani chocolate cream, bitter chocolate sorbet and crumbled ‘Oreos’ arrived. This was as intense and delicious a chocolate dessert as I can remember demolishing – eminently satisfying in every way, and the perfect finale to what was overall a superb meal. If you have not visited L’Atelier before, or have not been to the New York location, it is indeed a good time to go. I am pretty sure that once the food starts arriving, you will be glad you did. 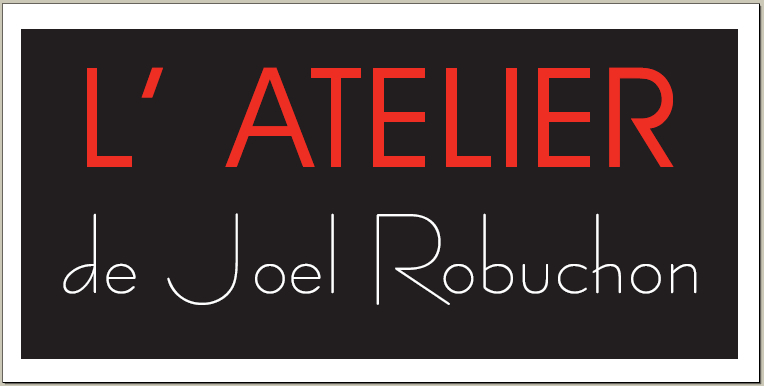 Note: I was invited to review L’Atelier de Joël Robuchon New York and did not pay for the food or wine, only the service. This entry was posted in Finer Fare, Laissez Eats and tagged 2 Michelin Stars, Araguani Chocolate, Christophe Bellanca, Cranberry and Mascarpone Cheesecake, Fine Dining, Foie Gras, Four Seasons Hotel, Hamachi Sashimi, Idahoan Wagyu Beef, Joel Robuchon, Kumquat Compote, L'Atelier de Joël Robuchon, Langoustine Papillote, Long Island Duck, Luxury Hotel, Manhattan, New York, Ossetra Caviar, Pain d'Epices, Parmesan Foam, Restaurants, Sea Bass, Tidal, White Asparagus Gazpacho by laissezfare. Bookmark the permalink. Only you LF could describe L’Atelier as a regular haunt – those were the days hey! Sounds like the food is equally as amazing at the NYC version. I would go for the cheesecake alone. Haha, well maybe that is a slight overstatement. We didn’t go that often, but when we fancied amazing comforting food we didn’t have to think to much about, it certainly hit the spot!